Great singing can inspire us, surprise us, make us laugh, or make us cry. It can draw the listener in, creating a shared experience of stories and emotions, communicating the singer's unique point of view. 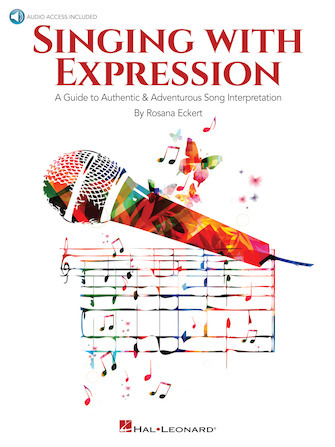 Singing with Expression presents a step-by-step guide to help vocalists of any style or genre find their voice and connect with their audience. This book has five sections: Timing, Tone, Melodic Alteration, Style and Other Factors, each with several chapters detailing various concepts and exercises. You'll find over 145 downloadable listening tracks with the author's demonstrations, as well as backing tracks in three different keys. Spontaneity exercises are featured in several chapters, aimed at helping singers sharpen their real-time-reaction reflexes in a performance situation. Included in the back of the book is a listening list of songs that specifically demonstrate a groove or approach discussed in th book.